Peak Performers often start by following their passion and translating this into a clear purpose. They do professional work, find solutions to problems and achieve peak performance. Some people stop there. Others want to pass on their knowledge and perhaps enjoy a sense of peace. Can you think of a time when you have followed some of these steps in your own way? You may have been pursuing an interest, playing a sport, working for a cause, teaching a seminar, leading a project or whatever. You may have been working alone or with other people. Describe a specific time when you follow some aspects of the peak performer’s path. 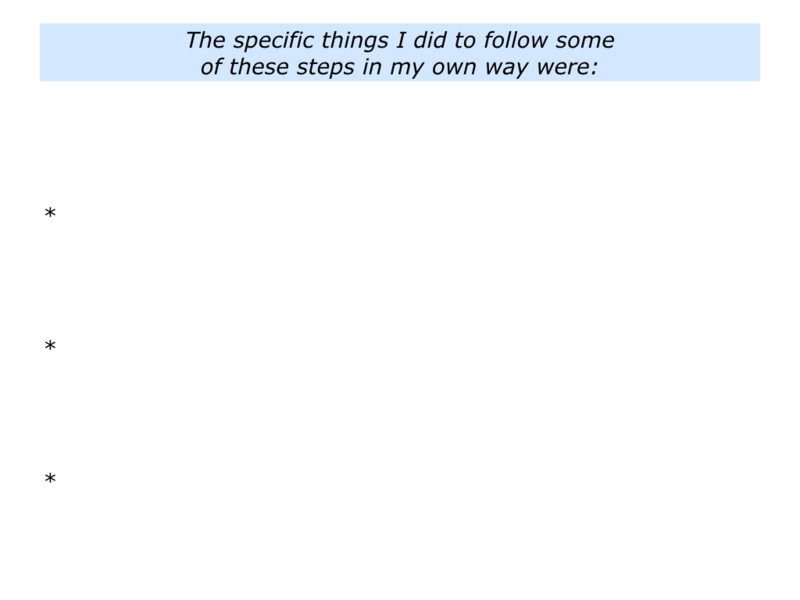 Describe the specific things to you did to follow some of these steps in your own way. Great workers pursue a passion in which they have the ability to achieve peak performance. They may feel passionately about encouraging people, designing gardens, playing a musical instrument, finding a medical cure, fighting for justice, caring for animals or whatever. Such people spend a lot of time exploring a particular theme, however, before settling on pursuing a specific activity. “How can you choose such an activity?” somebody may ask. There are several things worth bearing in mind. Choose an activity that gives you positive energy, even when you think about it. Choose an activity where you have the potential to deliver peak performance. Choose one that you find fascinating, have a feeling for and in which you have a track record of finishing. Looking at your passions, which of these can you translate into a clear purpose? What is the goal you would like to achieve? What would be the benefits of achieving this aim? Great workers sometimes follow what are called Squiggly Careers. Some Managing Directors I work with, for example, started out studying chemistry, maths or another specialist subject. They eventually went on to run a company. One Commercial Director I worked with described how, as a child, he developed an interest in the London Bus Network. He decided to learn about every route and every stop in London, even though he lived in the North of England. Forty years later he can still give you every detail about the bus network. This may sound odd, but he developed the pattern of learning everything about a particular topic. Despite what people may think, he is a happy person who is fun to be around. He now applies his thirst for knowledge to developing the commercial direction for his company. Bearing in mind the work involved, how would you rate your motivation to pursue the project? Rate this on a scale 0 – 10. Make sure the rating is at least 8+/10. Will achieving this goal give you a sense of peace? Describe the specific goal you would like to achieve that will be an expression of this purpose. Describe the specific things that will be happening that will show you have achieved the goal. 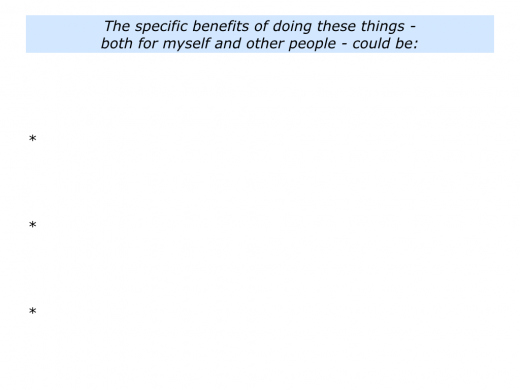 Describe the specific benefits of achieving the goal – both for you and other people. Great workers are super professional. Imagine you have set a specific goal. What are the three key strategies you can follow to give yourself the greatest chance of success? How can you build on your strengths and manage the consequences of any weaknesses? How can you follow your successful style of working? How can you get the right people around you who will complement your strengths? How can you keep focusing on the things that are in the green, amber and red zones? How can you manage these things and stay ahead of the game? You will have your way of staying calm and finding solutions to difficulties. One approach is to use the 3C model. 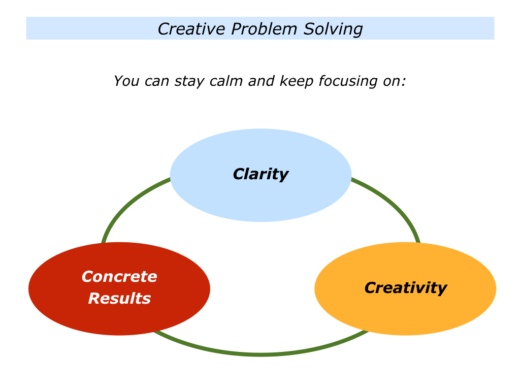 It is to focus on clarity, creativity and concrete results. You may ask some of the following questions. What is the challenge I want to tackle? What are the real results I want to achieve? What is the picture of success? What are the possible options for going forwards? What are the pluses and minuses of each option? Which route do I want to follow? 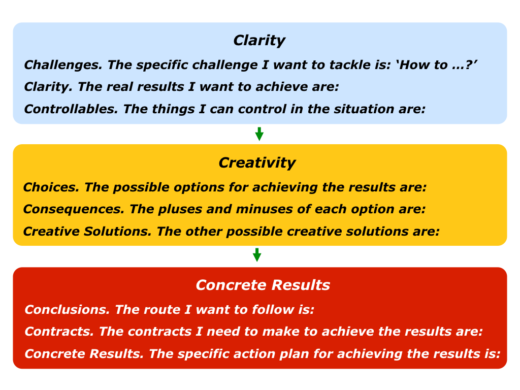 How can I translate this into a clear action plan and achieve the picture of success? How can you be a good finisher? How can you flow, focus and finish? How can you add that touch of class? 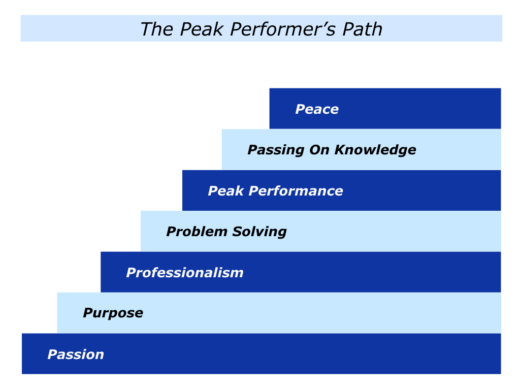 How can you achieve peak performance? Great workers sometimes want to go beyond doing fine work. They want to share what they have learned with other people. How can you do this in your own way? It can be useful to start by focusing on the What, Why, Who, How and When. What is the knowledge you want to pass on? This may depend on the project or other activity you have been pursuing. You may have learned lessons from gardening, counselling, building houses, managing crises, coding, leading teams, solving particular problems or whatever. When do you want to share the ideas with people? What would be your preferred setting? Would you like to run a seminar, produce a blog, run a coaching session or whatever? Great workers love to do their best. This can lead to them enjoying a sense of peace. 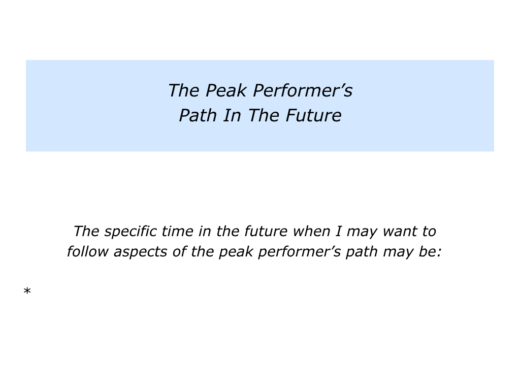 Describe a specific time in the future when you may want to follow aspects of the peak performer’s path. 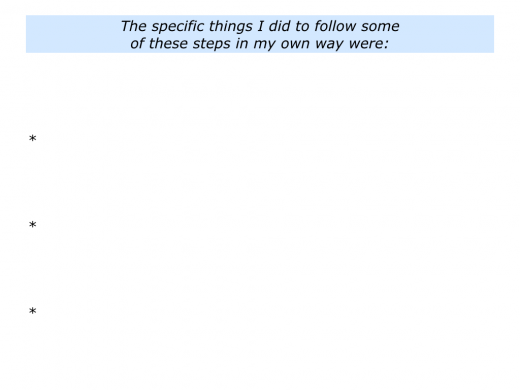 Describe the specific things you may want to do to follow aspects of the path.